The Friday Entrepreneur series continues. * * *How did you get started founding a tech company? First, I met Alex, who became my co-founder. Alex had an eye for design and a strong business sense as he’d already worked on several projects of his own, while I had a love of (and talent for) math and programming. Though I do help out with many of the business decisions, Alex handles all the marketing, customer and employee management. Similarly, while Alex does much of the front-end design for our products, I plan and program the the products’ back-end. Looking back, how were you able to get started with no money? As high school students, we were lucky to have virtually zero living expenses and time constraints. Because of the non-capital-intensity of this field, all we needed to get started was a few dollars a month for web hosting and our own time, which we gladly spent programming instead of playing video games. We officially established our company, Webligo Developments in March 2003. Every time we released a new product, we learned a little more about software development, customer relations, and the fundamental aspects of business. So tell us about BlogHoster, your second company. Though BlogHoster earned us about $175,000 during its first two years, we eventually sold it in the summer of 2007 for $90,000 to UK-based Splashpress Media. The backstory: We spent the greater part of 2004 planning and developing BlogHoster (a blog hosting service) in the typical garage-office fashion. We launched in December and saw immediate sales with only a bare-bones marketing budget. Over the next year, we added a slew of new features as well as a customer mod-sharing community that became surprisingly active. Slowly but surely, we started spending more time on BlogHoster and less time on our college coursework. We grabbed 300 square feet of office space in Pasadena and hired an intern from our high school to help keep everything together. Soon, we realized that BlogHoster had a lot of potential that would likely not be fully realized within our limited resources. And now you’re working on SocialEngine. list of “8 Stupid Frat-Boy Business Ideas“). Truth be told, most of our customers are not trying to be the next big thing. Instead, they are using SocialEngine to unite people around a common characteristic or niche theme. One of SocialEngine’s most attractive features is that, like BlogHoster, it can be seamlessly branded and customized to match any website. How did you initially get users to try SocialEngine? With an effort to be a bit less shy than we were with BlogHoster, we finally put together a decent advertising budget of about $600/month. We bought some ad inventory on Google, Yahoo, and Hotscripts.com, which brought in some immediate traffic. These types of ads give us an excellent ROI because our customers almost exclusively use search engines to find software like ours, and because the average SocialEngine sale was about $350 and paid for more than half of the month’s advertising budget. In my opinion, Adsense and other ad networks don’t make sense for many products, but they work magically for ours due to its price, the engagement channel that customers use (search engines), and the fact that all of our leads are already “warm.” We also wrote a press release and published it via PRweb.com. Despite being a tad sensationalist, it drew in quite a bit of attention. As kids, we always undercharged for our work. It went hand-in-hand with the awkwardness and insecurity of being teenagers. We also had virtually no costs (with no living expenses or office space, just pizza and Diet Coke), so it already felt like we were hitting the jackpot every month. As we transitioned from hobbyists to businesspeople, this obviously changed. For our first big project (the IMS Pro), we eventually took a deep breath and doubled the price. While our profits increased only marginally, our customer support needs decreased substantially giving us time to begin planning our next project. That’s when we discovered that pricing can be an excellent resource-balancing tool, assuming you can find the equilibrium you’re looking for. Since then, we’ve often used pricing to adjust the flow of our projects. We generally begin with a low price to facilitate market penetration and to build a customer base of grateful, feedback-giving customers. Over the project’s arc we incrementally raise the price to match the added value of new features or to open up time for brainstorming. Have you thought about raising outside money (angels, venture capitalists…)? model left a lasting impression on us. VC funding isn’t free money, and unless we have a need for a large amount of capital for a new project, we will continue funding ourselves organically. The scope of our projects have been relatively small to date, so perhaps VC funding will become a reality in the future as we need to hire more people, overlap projects and accelerate our growth. What are the three biggest mistakes you made with your first companies? 2. Another one of our big mistakes was poor money management. We let our profits pile up into a savings account that earned 1% interest, not even beating inflation. Although we can say that we were naive kids that didn’t even know what a mutual fund was, that’s only half the story. A much larger portion of that money could have been reinvested in the company, allowing us to grow much faster than we did. I think the main reason we left it in the bank account was the fear that our lucky streak would end at some point. When we finally realized that luck wasn’t the reason our projects were selling, we started to use the money more actively. 3. We used to be very shy about marketing. All our pre-SocialEngine projects had tiny marketing budgets (due to our fear of spending money) that bought ads on only one or two websites. With BlogHoster, our primary source of traffic was a single script-directory website on which we had a sponsored listing. We later discovered that our sales trends correlated directly with the traffic levels on that site. By putting all our eggs in one basket, we were left at the mercy of that company’s ability to attract traffic to it’s site. With such high profit margins and virtually non-existent operating costs, we should have been more bold and varied in our marketing instead of sticking with what we believed to be our “tried-and-true” methods. The lesson here is to avoid being timid when you have the resources to be bold! I love hearing about these mistakes because they’re so instructive. How about more recently? What about the biggest mistake you’ve made with SocialEngine? The biggest mistake we’ve made with SocialEngine is the length of time it took us to begin properly delegating. Because the company was just the two of us for so long, Alex and I had the mentality that we didn’t need help, even when we were swimming in support emails. We didn’t think another person could perform the tasks as well as we could, but we couldn’t continue adding new features to the product, manage marketing, answer pre-sale emails, and handle support all by ourselves. When we finally found a third member to add to our small team, it was like a weight was lifted from our shoulders. We were suddenly able to handle more work and get more things done with much less stress. We actually talked in October and I gave you some feedback on the site. Can you tell us what we spoke about, what recommendations I made, and what you’ve done? 1. Offer a taste. We decided to create a 15-day trial version of SocialEngine to give people time to experience the product on their own servers. This has been an excellent way to prove SocialEngine’s quality and build trust. To track conversions, we offer a $10 coupon with each trial download. Our records show that conversions from the trial version generally take less than one day, which supports the theory that people just want to make sure our product has substance before buying! 2. Test your front page and make it easier to purchase. After the launch, we occasionally received emails from people who couldn’t seem to figure out how to place an order. This was more than a little disconcerting! We redesigned our site layout to include at least three “purchase” links on every page of the website, with four on the homepage. Our Google Analytics (and the lack of confused emails) show that these have been very useful. 3. Do some search engine optimization. Realizing that search engines are now our primary source of traffic, we’ve optimized our pages with the hope of receiving as much organic traffic as possible. Before the optimization in early October, we averaged about 220 unique visitors daily; now we are averaging about 750 and still growing. 4. Add testimonials to your website. We frequently receive glowing emails from customers about SocialEngine. You suggested that we publicly quote these on our website, and we have (as you can see on our homepage). Having these quotes from customers seems to really have improved pre-sale trust. We may be opening up a customer showcase in the near future to display some great implementations of SocialEngine. 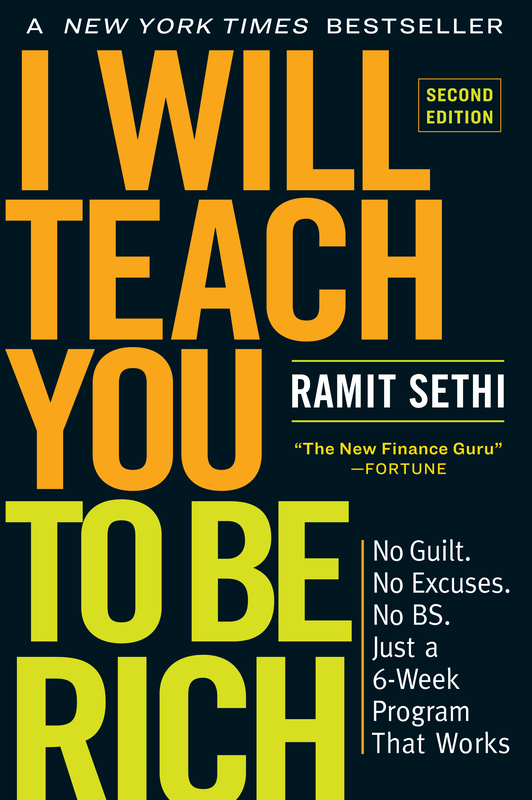 Lots of iwillteachyoutoberich readers would love to start something small and make a little revenue off it. What would you suggest to them? First, don’t put money into a new project if you have no idea how it will make money. Although there are a few rare exceptions, this basically never works. Once you have a business model, stay focused! Don’t be tempted by alternative ways to make a little money here and there, as they will usually derail your efforts and waste your time. Our business model is based on selling our own products, not consulting on an individual basis. In the past, we took on a few consulting projects as an attempt to mitigate the risk of releasing a new product. To our dismay, these projects were extremely time consuming, stressful, less profitable, and actually slowed down our main progress. Second, don’t be afraid to take calculated risks. At the beginning of myjunior year at Harvey Mudd College, I struggled with dividing my time between work and school. When I finally made the decision to take time off, nearly everyone I talked to was overwhelmingly negative. The arguments they made for staying in school were valid, however I truly felt that if I didn’t take the risk of devoting myself completely to my company, I’d always regret it. Not having the “safety net” of a college degree is scary, but I know I would be much less fulfilled had I played it safe. Now what? Check out the SocialEngine. Read other Friday Entrepreneurs, sign up for my newsletter, and submit yourself as a Friday Entrepreneur. Love this Friday Entrepreneurs category … these interviews are great and a perfect example of creating “high value” blog posts. Great case study. I love hearing about how entrepreneurs have succeeded and the road they took to get there. I think these two will have a very bright successful future. The only question I have is if their BlogHoster made them $175k in two years why would you sell for only $90k? Now till Retirement | It’s a lazy day. Way to drop out of Harvey Mudd. Do you miss Saturday night sushi night? Matt: To answer your question, there are a number of reasons we chose to sell BH for $90k (rather than a higher dollar amount). Because we were so small (and still struggling to learn how to delegate), our primary duty had shifted from development to support. Our promise of “life-time support” was crippling our ability to improve the software and adequately develop SocialEngine (which we started working on in early 2006). When Splashpress made their offer to us, we decided that it was in everyone’s best interest (our customers as well as ours) to accept. Ben: There are a lot of things I miss about Mudd! Though I have to be honest, HMC’s dining hall is not on that list (Pomona’s on the other hand…). It was a fantastic school and taught me tons in my short time there. Good luck with the rest of your time at CMC! still seeing referrals from this site. We’ve also just posted a link to the article from our website: http://www.webligo.com/. Thanks again, everyone, for reading and taking an interest in our story! Hi, Charlotte, I must say is was a great interview. My mind is hook in buying your software. have talked with Alex and I am satistified that your product is really the key to my success. Great interview..have just started implementing Social Engine with quite a bit of heavy customisation..it’s such a pleasure to work with Charlotte’s code..I’m loving it!.. After making your improvements to the site and offerings the trial, what kind of conversion ratio did you see your site visitors? What is a “good” conversion for your scripts? I sell desktop software and get less than 1% on it typically. Wanted to see what kind of numbers you were getting. You are dooing things with passion. It shows in the ways you are talking about serious personal and bussines decisions. It reflects in Socialengine as well because it’s taylored to become under user’s skin. I,m sure to here more about your successes in future. Your interview, passion I noticed and potental offered by SE convinced me to buy a licence and to try to develop social club in Europe wich wil overwhelm members expectations. Keep that passion, it rools. Great Interview. I am a social engine 3rd Party Developer and i really appreciate the way Charlotte coded, its easy to understand and developer for anyone. Your people Rock! SocialEngine is great … for that reason we created a new SocialEngine Communty which can be found here: SocialEngine-base.net … … quick and centralized access to plugins, tutorials, modifications and discussions. I am looking forward to purchasing SocialEngine after three months of research and countless hours on competitors demo versions as well as SE. I primarily appreciate the level of customer service focus the SE team seems to have based on the reviews I have read. Especially compared to other similar scripts. do u have a boyfriend? is that the guy with u in the picture ur boyfriend?